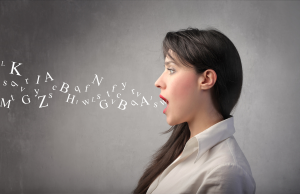 Is your accent getting in the way of doing business? Are you tired of hearing, “What did you say?” or “I didn’t understand you!” When your first language is other than American English, many of the characteristics of your first language will carry over into the second. While a few differences make your speech interesting, a substantial number of characteristics, such as a trilled /r/ or the substitution of the /v/ for /w/ will result in poor intelligibility. Accent Modification may be the answer. With the advent of web-based therapies, pronunciation lessons can now be found on-line and completed in the comfort of your own home. The Compton PESL program is a proven, researched-based method of teaching non-native and regional American English speakers how to produce the pronunciation patterns of American English as it is spoken by most in the United States. It is a highly-structured, highly-personalized, goal-oriented approach. The Compton PESL program starts with a phonological assessment of the individual’s accent followed by the development of a client practice program. What sets the Compton PESL approach apart from other programs is the unique way that it teaches each learner how to practice. The on line program provides 12 sessions with a certified instructor and access to the web-based practice tools. In order to participate in the web-based program, the learner would need high speed internet, a head set with microphone and the ability to down load a meeting platform, such as Skype. If you are concerned about your accent and wonder if you are a candidate for accent modification or pronunciation training, try our free speech screening tool on our website www.southwestrehabilitation.com Go to the heading “Our Services” and “Adult.” Click on “Accent Modification” and tap on the link provided.